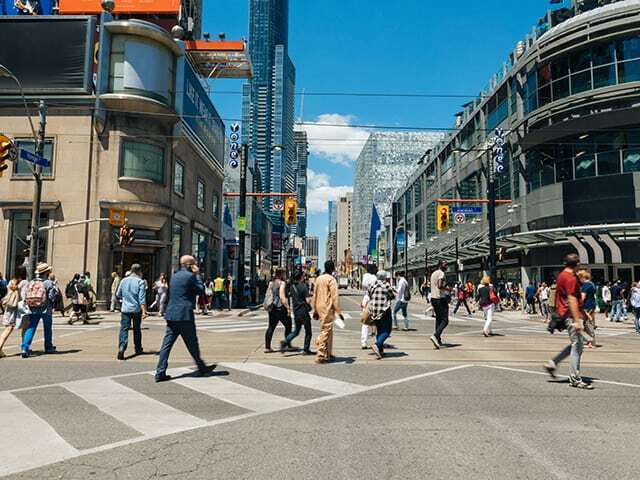 In 2005, recognizing the need for Canada to be at the forefront of innovation, a group of futurists planted the seeds that would grow to become MaRS Discovery District. The goal: to develop a world-class space where innovation could thrive and contribute to the country’s social and economic prosperity, making the world a better place for the future. Since then, MaRS has taken on big challenges in accelerating high-growth companies, tackling the chokepoints that prevent made-in-Canada ventures from reaching their full potential. From supporting the growth of companies to changing the way the market and its policies interact with innovators and their offerings, MaRS has helped elevate Canada and Toronto onto the world stage as a leader in innovation. While MaRS’ founding goals were lofty and its mission forward thinking, it has created a road map for the future of innovation. MaRS has achieved significant success in reaching and surpassing the goals it set at its inception. Today, MaRS initiatives and supported ventures continue to positively affect the lives of people in every corner of the world, fundamentally shifting the way public and private sectors interact with innovation. This report aims to highlight the social and economic successes of MaRS-supported ventures and MaRS programs, and to enable action for MaRS and its stakeholders based on the best available data. Together, these elements set MaRS and its partners on a path to improving society for future generations and making a difference beyond Canada’s borders.